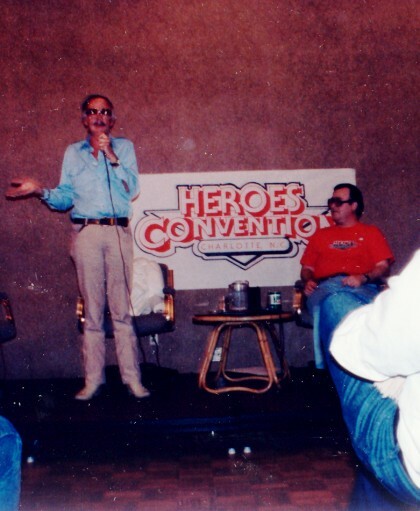 THE HEROESONLINE BLOG | HEROESCON 2012 :: STAN LEE TRUE BELIEVER PASSES BACK FOR A LIMITED TIME! HEROESCON 2012 :: STAN LEE TRUE BELIEVER PASSES BACK FOR A LIMITED TIME! Back by popular demand!!! “True Believer” passes to meet Stan Lee! That’s right True Believers, Stan has OK’d another round of special VIP status passes for us to offer to you. Only the “True Believer” level pass is available, and not too many of those. The description and online ticket form is here. You can still buy autographs and fast pass tickets in advance of the HeroesCon, ala carte from Desert Winds Comics, as well as autographs and photographs at the con itself as long as time allows. Stan is pretty super, but superhuman is still the stuff of comic books! There are no guarantees how many autographs will be available at the show. Order those “True Believer” passes and advance autograph tickets right now! Is Stan going to be there Friday or just Saturday and Sunday?